Professor Bowen is recognised both nationally and internationally for research at the interface of nanotechnology and quantum science; including nanophotonics, nanomechanics, quantum optomechanics and photonic/quantum sensing. He is an Australian Future Fellow. 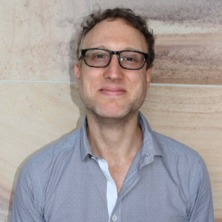 He leads the Quantum Optics Laboratory at UQ, is Director of the UQ Precision Sensing Initiative, and is both Program and Node Manager of the Australian Centre for Engineered Quantum Systems. The research in Professor Bowen's lab spans from the very fundamental, e.g. how does quantum physics transition into our everyday world at large scales?, to applied, e.g. developing next generation sensors for medical diagnostics and navigation. To pursue this research, his lab works in close partnership with industry and uses state-of-the-art facilities for nanofabrication, nanoanalysis, precision optical measurement and deep cryogenic refrigeration available in-house or on campus at UQ. Professor Bowen has supervised more than thirty postgraduate students, who have been recognised with prizes such as Fulbright Scholarships, an Australian Youth Science Ambassadorship, a Springer PhD theses prize, the Queensland nomination for the Australian Institute of Physics Bragg Medal, the Australian Optical Society Postgraduate Student Prize and UQ Graduate of the Year. He regularly has projects available, both for postgraduate students and for postdoctoral researchers. Please check his website, above, or contact him directly for details (w.bowen@uq.edu.au). Professor Bowen's laboratory has made important contributions, including demonstrating that quantum techniques can enhance the performance of biological microscopes; developing a new class of state-of-the-art magnetometers that allow magnetic resonance imaging (MRI) to be miniaturised to chip-scale with prospective applications in medical/chemical diagnostics, geological surveying and other areas; showing that laser cooling techniques can be applied to superfluid helium, an important medium for generation-after-next sensors in navigation; and reaching the quantum limit to performance in single molecule sensors. Professor Bowen regularly has projects available. Please check his website, above, or contact him directly for details (w.bowen@uq.edu.au). Factors affecting the f× Q product of 3C-SiC microstrings: what is the upper limit for sensitivity? Bowen, Warwick Paul (2018). Quantum optomechanics. In: Conference on Lasers and Electro-Optics/Pacific Rim, CLEOPR 2018. Conference on Lasers and Electro-Optics/Pacific Rim, CLEOPR 2018, Hong Kong, , (). July 29, 2018-August 3, 2018. Sheridan, E., Forstner, S., Humphreys, C. L., Rubinsztein-Dunlop, H. and Bowen, W. P. (2014). Cavity optomechanical magnetometry on a chip. In: CLEO: 2014. CLEO: QELS Fundamental Science (CLEO QELS 2014), San Jose, CA United States, (). 8-13 June 2014. Brawley, George A., Vanner, Michael R., Bowen, Warwick P., Schmid, Silvan and Boisen, Anja (2014). Quadratic measurement and conditional state preparation in an optomechanical system. In: CLEO: 2014. CLEO: QELS Fundamental Science (CLEO QELS 2014), San Jose, CA United States, (). 8-13 June 2014. Taylor, Michael A., Janousek, Jiri, Daria, Vincent, Knittel, Joachim, Hage, Boris, Hans-A. Bachor, and Bowen, Warwick P. (2014). Subdiffraction-limited quantum imaging of a living cell. In: CLEO: Science and Innovations, CLEO_SI 2014. CLEO: Science and Innovations, CLEO_SI 2014, , , (). June 8, 2014-June 13, 2014. Knittell, J., Swaim, J. D., McAuslan, D. L., Brawley, G. A. and Bowen, W. P. (2014). Whispering gallery mode biosensing using back-scattered light. In: CLEO: 2014. CLEO: QELS Fundamental Science (CLEO QELS 2014), San Jose, CA United States, (). 8-13 June 2014. Akram, Uzma, Bowen, Warwick and Milburn, Gerard (2013). Entangled mechanical cat states via single photon conditional optomechanics. In: Quantum Information and Measurement, QIM 2013. Quantum Information and Measurement, QIM 2013, , , (). June 17, 2013-June 20, 2013. Daria, Vincent, Taylor, Michael, Janousek, Jiri, Knittel, Joachim, Hage, Boris, Bachor, Hans and Bowen, Warwick (2013). Quantum probing of living cells. In: Asia Communications and Photonics Conference, ACP 2013. Asia Communications and Photonics Conference, ACP 2013, , , (). November 12, 2013-November 15, 2013. Swaim, Jon D., Knittel, Joachim and Bowen, Warwick P. (2012). Real-time detection of plasmonic nanoparticles using a frequency locked microresonator. In: , , (). .
Swaim, Jon D., Knittel, Joachim and Bowen, Warwick P. (2011). Enhancing the sensitivity of whispering gallery mode biosensors using plasmons. In: , , (). .
Swaim, Jon D., Knittel, Joachim and Bowen, Warwick P. (2011). Plasmonic enhancement of whispering gallery mode biosensors. In: Conference on Lasers and Electro-Optics/Pacific Rim, CLEOPR 2011. Conference on Lasers and Electro-Optics/Pacific Rim, CLEOPR 2011, , , (1034-1036). August 28, 2011-September 1, 2011. Knittel, Joachim, Swaim, Jon D. and Bowen, Warwick P. (2011). A self-referencing detection technique for whispering gallery mode biosensors. In: European Quantum Electronics Conference, EQEC 2011. European Quantum Electronics Conference, EQEC 2011, Munich, Germany, (). 22 - 26 May 2011. Bachor, Hans-A., Morizur, Jean-Francois, Daria, Vincent, Janousek, Jiri, Armstrong, Seiji, Bowen, Warwick, Treps, Nicolas, Go, Mary Ann and Daria, Vincent (2011). From entanglement to neuroscience: New uses for laser beams shaped by spatial light modulators. In: International Quantum Electronics Conference, IQEC 2011. International Quantum Electronics Conference, IQEC 2011, , , (). August 28, 2011-September 1, 2011. Bowen, W. P., Taylor, M. A., Szorkovszky, A., Lee, K. H. and Knittel, J. (2011). Mechanical regenerative amplification with mHz linewidth in a cavity opto-electromechanical system. In: Frontiers in Optics, FiO 2011. Frontiers in Optics, FiO 2011, San Jose, CA, United States, (). 16 - 20 October 2011. McRae, Terry and Bowen, Warwick (2011). Optomechanical backaction amplifier near threshold. In: International Quantum Electronics Conference, IQEC 2011. International Quantum Electronics Conference, IQEC 2011, Sydney, NSW, Australia, (898-900). 28 August - 1 September 2011. Morizur, Jean-Francois, Nicholls, Lachlan, Jian, Pu, Armstorng, Seiji, Wagner, Kate, Hsu, Magnus, Bowen, Warwick, Treps, Nicolas, Janousek, Jiri and Bachor, Hans-A. (2010). Experimental demonstration of computer reconfigurable multimode entanglement. In: 2010 Conference On Lasers and Electro-Optics (CLEO) and Quantum Electronics and Laser Science Conference (QELS). Conference on Lasers and Electro-Optics (CLEO)/Quantum Electronics and Laser Science Conference (QELS), San Jose, United States, (). 16-21 May 2010. McRae, T. G., Lee, K. H., McGovern, M., Gwyther, D. and Bowen, W. P. (2009). Thermo-optic locking of a semiconductor laser to a microcavity resonance. In: ACOLS ACOFT. ACOLS ACOFT 09, The University of Adelaide, (424-425). 29/11/09 - 3/12/09. Knittel, Joachim, Khosla, Kiran, Lee, Kwan H., McRae, Terry G. and Bowen, Warwick P. (2009). Ultra-stable detection scheme for microtoroid based single molecule sensing. In: ACOLS ACOFT. ACOLS ACOFT 09, The University of Adelaide, (140-141). 29/11/09 - 3/12/09. Bowen, W. P., Tay, J. W. and Jiang, X. (2007). On the classical resolution limit of particle position measurement with optical tweezers. In: International Quantum Electronics Conference, IQEC 2007. International Quantum Electronics Conference, IQEC 2007, , , (). June 17, 2007-June 17, 2007. TEM10 Homodyne as an Optimal Small Displacement Measurement Scheme. Delaubert, V., Hsu, M. T. L., Bowen, W. P., Bachor, H.-A. and Lam, P. K. (2005). TEM10 Homodyne as an Optimal Small Displacement Measurement Scheme.. In: Proceedings of the Australian Institute of Physics 16th Biennial Congress. Physics for the Nation, Manning Clarke Centre, Australian National University Canberra, (). 30th January to 4th February, 2005. Fabre, C., Gigan, S., Maître, A., Martenelli, M., Treps, N., Andersen, U., Lam, P. K., Bowen, W. P., Buchler, B. C., Grosse, N. and Bachor, H.-A. (2004). Surpassing the standard quantum limit for high sensitivity measurements in optical images using multimode non classical light. In: Peter Hannaford, Andrei Sidorov, Hans Bachor and Ken Baldwin, roceedings of the XVI International Conference on Laser Spectroscopy (ICOLS03). Laser Spectroscopy, Palm Cove, Queensland Australia, (334-341). 14th-18th July, 2003. Lee, K. H. and Bowen, W. P. (2009). Opto-electro-mechanical device. 2009904789. McClelland, D., Gray, M., Lam, P. K., McKenzie, K. and Bowen, W. P. (2007). Optical readout and feedback control of nonlinear phase matching condition. Australian Provisional Patent # 2007900233. Bowen, W. P. (2003). Experiments towards a quantum information network with squeezed light and entanglement , School of Physical Sciences, Australian National University. Bowen, W. P. (1998). High repetition rate Nd:YAG pumped Ti:sapphire lasers Honours Thesis, School of Physical Sciences, University of Otago, New Zealand.